FoodNetwork Magazine's February issue challenged readers to a "secret ingredient" cooking contest involving honey. My mind immediately began reeling with ideas about the best honey dish to submit. I knew that whatever I chose, the flavor of honey had to be at the forefront. At first I really wanted to incorporate the fruit honey dew because of its obvious natural honey flavor and its light and fresh taste, but I was afraid I wasn't going to be able to bring it all together so that the honey dew didn't seem like the secret ingredient. I finally settled on these delightful bread puddings that completely seep honey flavor and taste. I even decided to incorporate honey into the ice cream to accompany this decadent but dense dish. The winner has yet to be announced, but keep you fingers crossed! I could be the next FoodNetwork secret ingredient winner! Spay cooking spray generously into each ramekin and pack in the croissant and donut crumbs tightly in. While cakes are in the oven, stir in orange blossom honey and cinnamon into the melted ice cream, place back into the carton and into the freezer to re-harden. 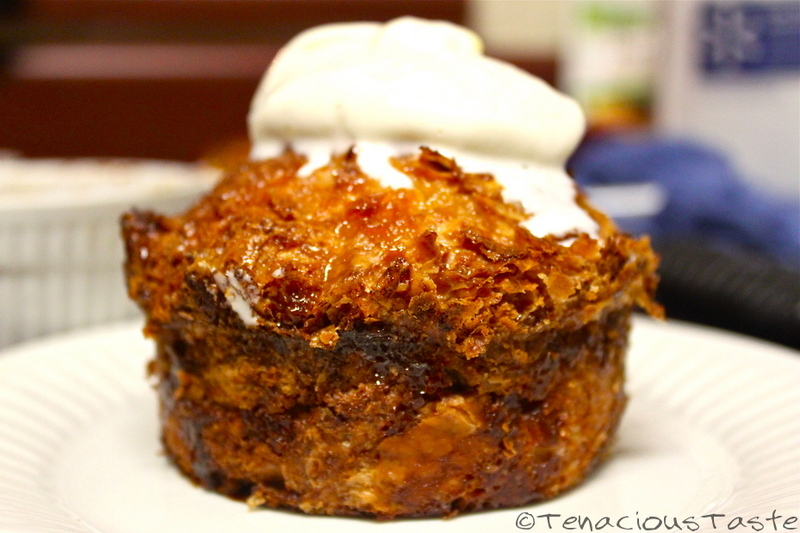 Remove cakes from oven, add a scoop of ice cream on top, and enjoy! This recipe can be made with all organic ingredients, excluding the fat free sweetened condensed milk. However, you can make your own organic condensed milk with a little powdered fat free milk, sugar, and water. Simply combine 1/2 cup water and 1 1/3 cup of fat free powdered milk to make a paste. Heat in the microwave until piping hot, but not boiling, about 45 seconds. Then, stir in 1/2 cup of sugar. You may also make this sugar free by substituting in 1/3 cup of stevia in the raw! 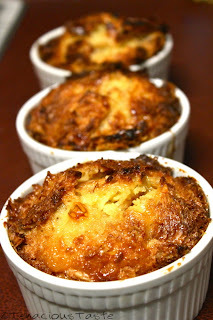 This recipe can be used for many other types of bread puddings! Just substitute the honey for an extra tablespoon of sugar and use any combination of flavors in lieu of the spices and vanilla. Chocolate can be amazing or you may want to add dried fruit like Apricots or Raisins! 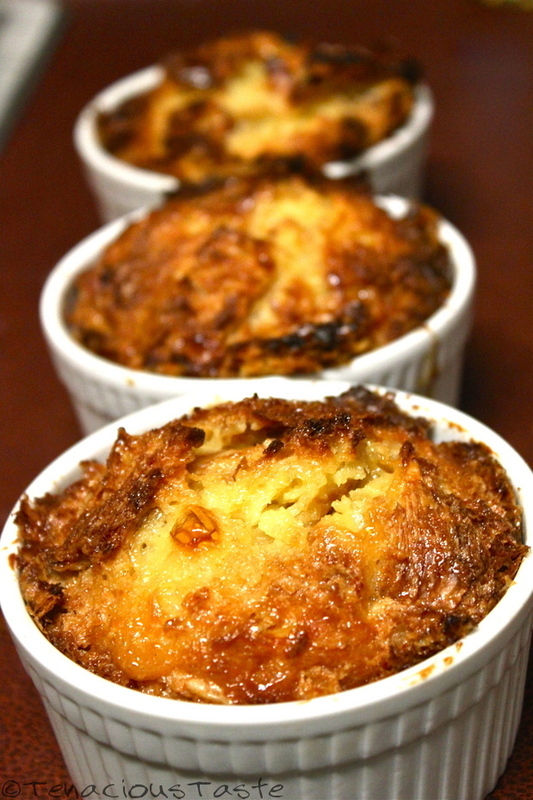 If the ramekin cakes turn out to be a bit too much food, as they might be, you might try using muffin tins. They turn out a surprisingly small but nice height cake and smaller portion if need be. Or for another option, you may want to bake in one large dish and cut out pieces for your guests at the table!